Shaggy’s Burgers & Tacos is serving up some of the best burgers and tacos in Huntsville. Come by and experience our shagg-a-licious food and atmosphere. "You weren't in Huntsville if you didn't stop by our spot." "We don't like to brag, but we felt we really needed to share this deliciousness with you." "Unforgettable flavor is found at our place!" ""Shaggy's has a loyalty program?" Yes, we do!" "Why cook and wash dishes when you can dine with us?" Shaggys is my place to go.....I have to say it is better than Taco Mama and Taco Mama was my place until I hit Shaggys. Not bad, but not the style I had expected. Burgers were good. Yes, I'd like to receive news from Shaggy's Burgers & Tacos. 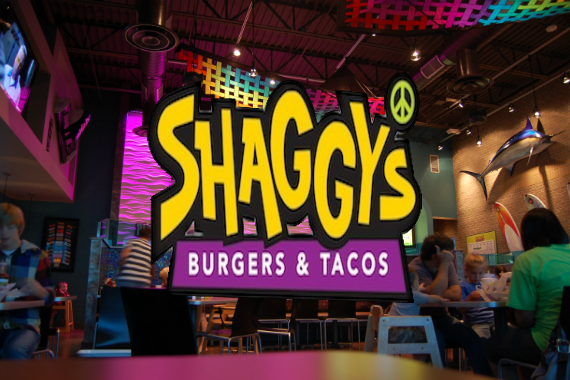 Sign up for the Shaggy's Burgers & Tacos Newsletter!